Album is ordered: winners, then alphabetically for known artists. Please send inquiries to co-chair Susan Vigil, jemezgold@usana.com and photo caption information to karen.halbert@gmail.com (note: photos are rearranged and renumbered as captions become available). 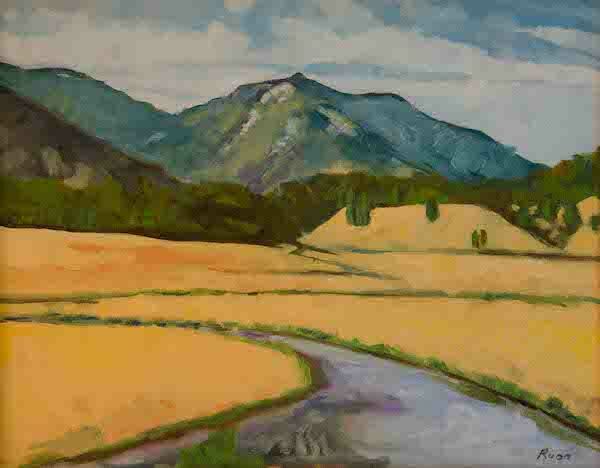 Award of Excellence, Ruan Bacigalupa., "Valles Caldera", oil, 9 x12.